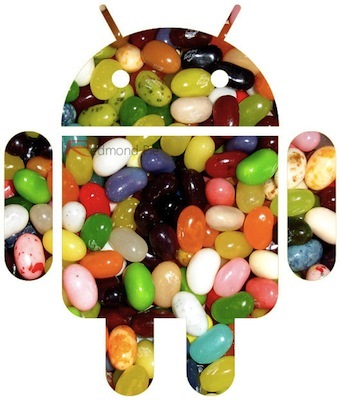 The Google Play Store could be set for a significant design overhaul with Android 4.1 Jelly Bean, if a leaked image of a Samsung Galaxy S III supposedly running the upcoming firmware is to be believed. The Big G rather suddenly decided to rebrand the old Android Market earlier this year, opting for the Google Play Store moniker in a move which was said to better reflect the range of content available to consumers. Despite the name-change, the content and look of the store hasn’t progressed very much at all, but if the image, which does look somewhat dubious, turns out to be the real deal, the Google Play Store could finally be given its own identity. The snap was uncovered by Italian website HD Blog, and as you can see, the look is fresh, sleek, and well, rather easy on the eye. The Featured Apps section at the top of the screen is a personal aesthetic highlight, while the tabs along the bottom will help navigation and general functionality within what is the main medium for finding new apps, games, and other interesting content. Although I do think the look is a significant step forward, naturally I feel quite skeptical about the whole thing, and there are a variety of reasons for this. 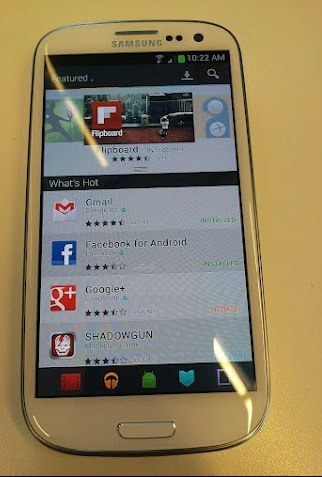 It wouldn’t be difficult to doctor the image with Photoshop, and it is currently unknown how the original source – Google+ member Loranz Yousif – managed to get a snap of an unreleased, unannounced, and unseen version of the Google Play Store app. Also, I cannot see Google sticking the tabs along the bottom of the Play Store app, despite it looking rather nice. Yousif has yet to respond to slurs of "fake!" and if we were to rate this in terms of legitimacy on a scale of one to ten (ten being announced and genuine), we’d call it at a three – and that’s being generous. What do you think? Real or make-believe? Whether you think it’s legit or not, is it a look you would look favorably upon if it did make an appearance with Android Jelly Bean 4.1? Share your thoughts with us, as usual, via the mediums found below – we’d love to hear them!